A householder hid in a bedroom after a woman barged into her home uninvited. Lorrie White was heard shouting “I’m coming to get you” as she made her way up the stairs. 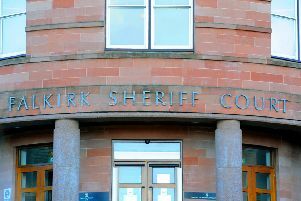 At Falkirk Sheriff Court last Thursday White (32) admitted threatening Laura Smith in her home in Kirkwood Avenue, Redding, on June 30 and fined £500. The court was told White, from 25 Newbiggin Road, Grangemouth, had been drinking at Bo’ness Fair before going to Redding that night to confront her victim who she suspected had been in a relationship with her partner.